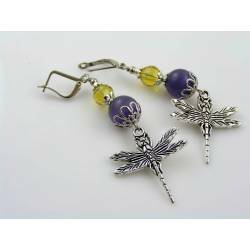 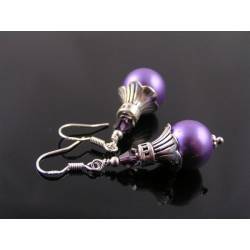 These earrings display the royal colour combination of gold and purple. 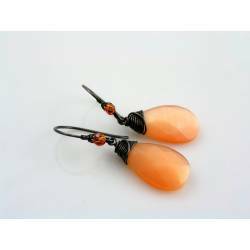 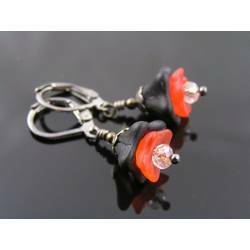 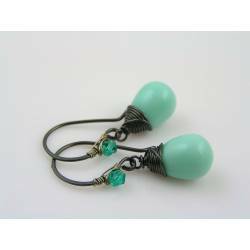 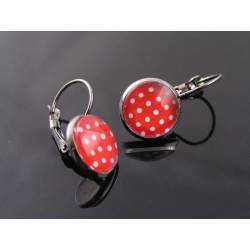 Total length, including the secure lever back ear wires, is just under 3cm. 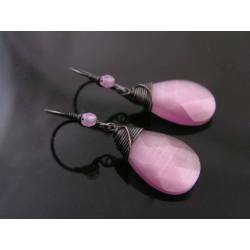 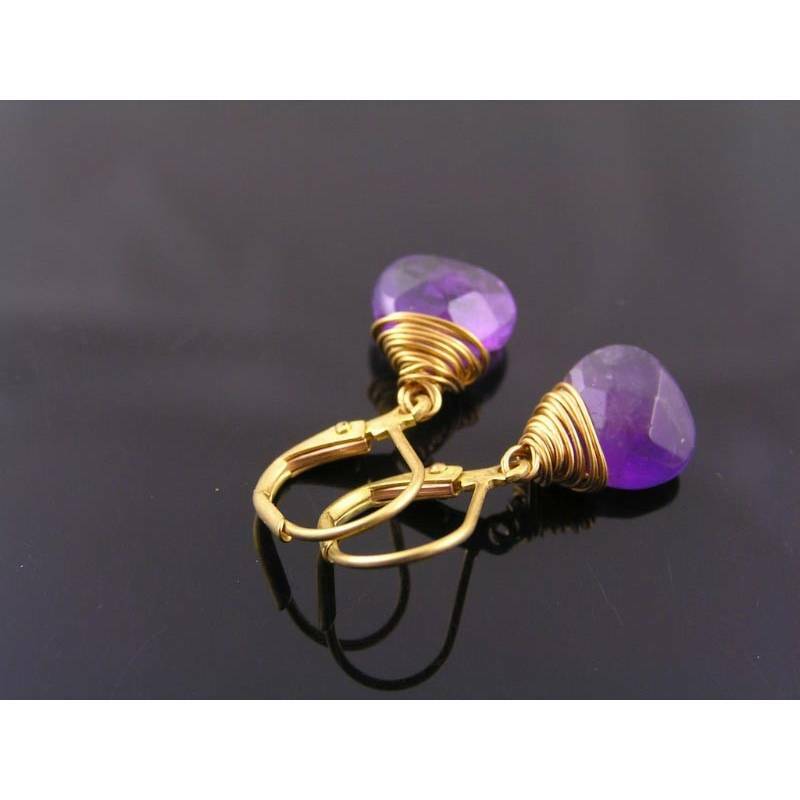 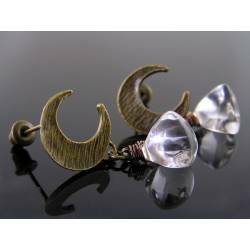 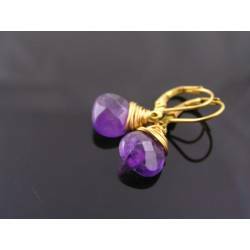 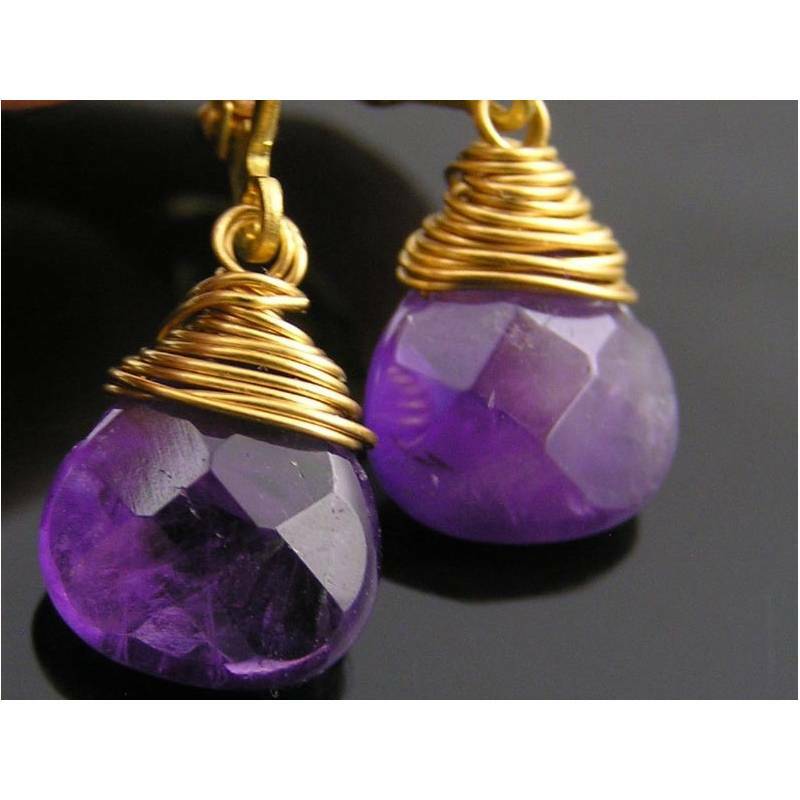 All metal parts are solid brass, the faceted amethyst drops are all natural. 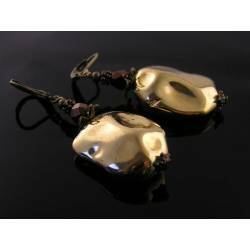 The beautiful thing about the use of these brass finding is, that they are solid metal. 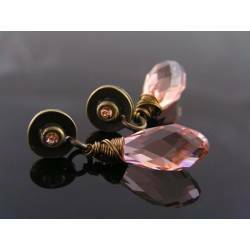 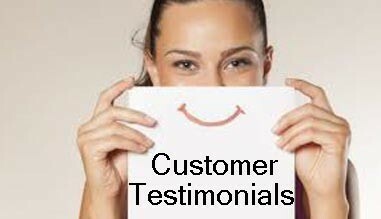 Nothing is going to wear off, flake of or change over time apart from some slight oxidizing which is easy to clean off. 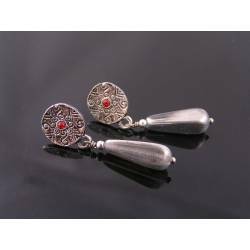 And - you can clean these as much as you like, because of the solid metal. 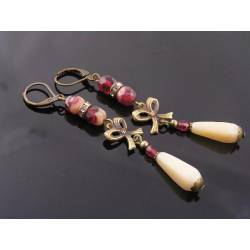 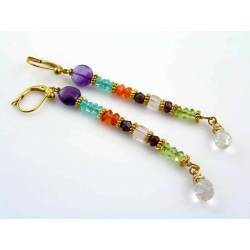 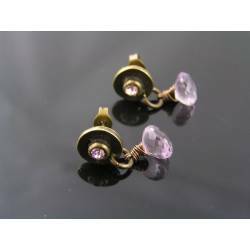 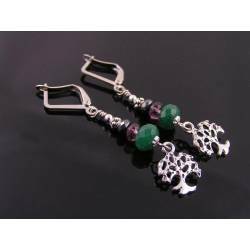 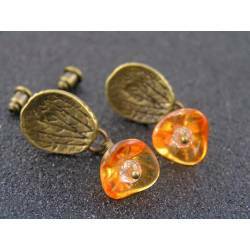 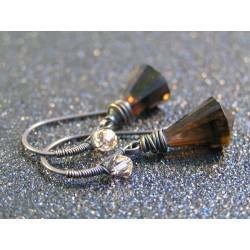 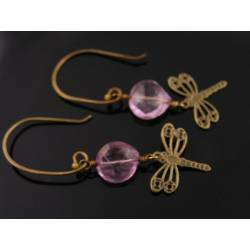 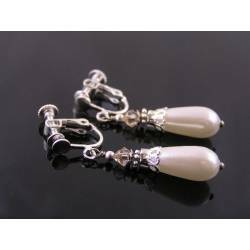 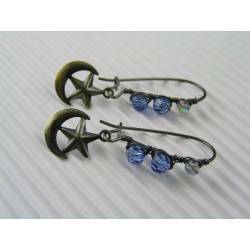 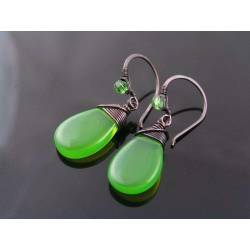 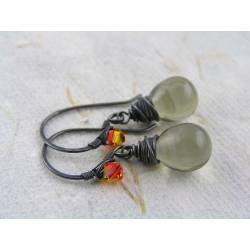 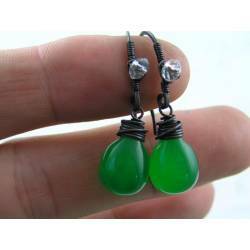 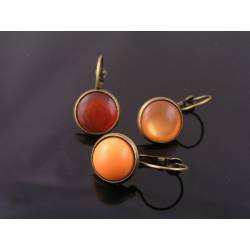 Earrings are also available with different gemstones and other metals (sterling silver, copper, gold filled, antiqued brass).